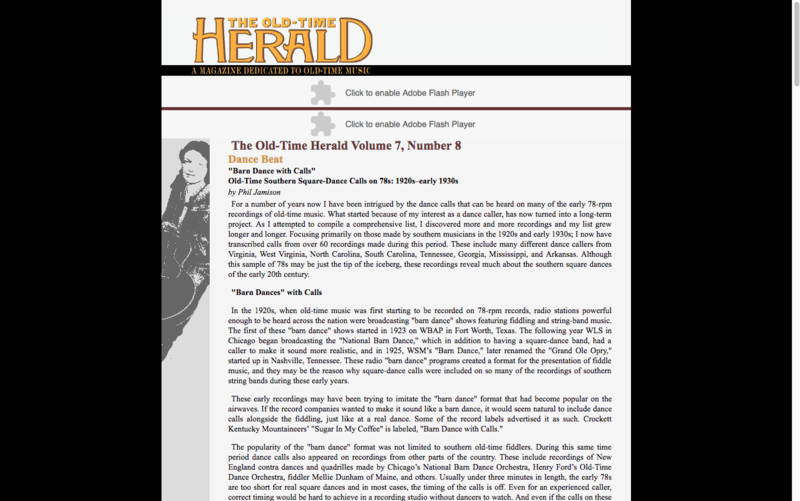 Click below to Visit Website in a new tab"Barn Dances with Calls"
Article published in The Old-Time Herald (Volume 7, Number 8) discussing what can be learned from a careful study of old dance records. Includes a discography. 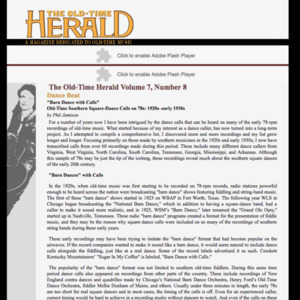 Phil Jamison, “"Barn Dances with Calls",” Square Dance History Project, accessed April 18, 2019, http://squaredancehistory.org/items/show/382.